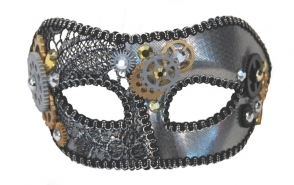 Silver and gold masquerade mask with steampunk gears detail. 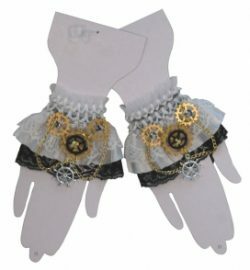 White steampunk styled wrist cuffs with gears. 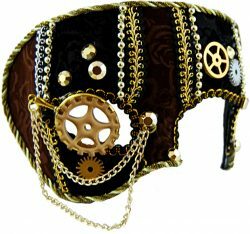 A great addition to your unique Steampunk costume. 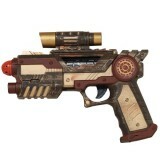 Steampunk space gun. 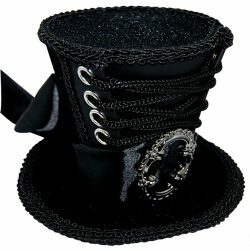 A handy wee themed prop to add to your weaponry.